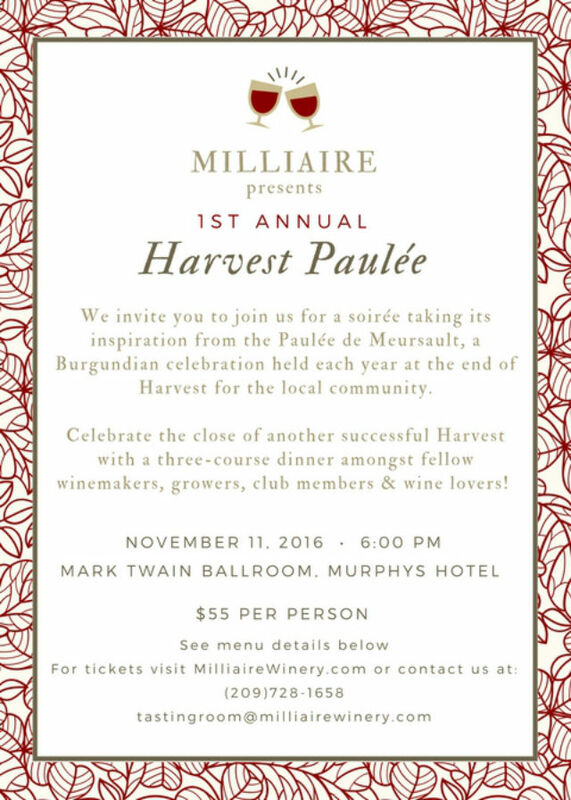 Murphys, CA...We invite you to join us for a soirée taking its inspiration from the Paulée de Meursault, a Burgundian celebration held each year at the end of Harvest for the local wine community.Celebrate the close of another successful Harvest with us! Enjoy a three-course dinner amongst fellow growers, winemakers, cellar workers & wine lovers. Bring your whole team! Milliaire Winery is a small family-owned winery founded by Liz and Steve Millier in 1983 in the cellar of their former home in Murphys CA. In 1990, the winery moved to an old Flying A gas station on Main Street in Murphys. The whole building was utilized for daily operations; barrels stacked in the repair bays, wine tanks in the backyard, bottling in the front yard and the tasting room in the office. There were jokes about what was in "those tanks" and a friend of the Milliers' dubbed it the "Roadside Chateau". 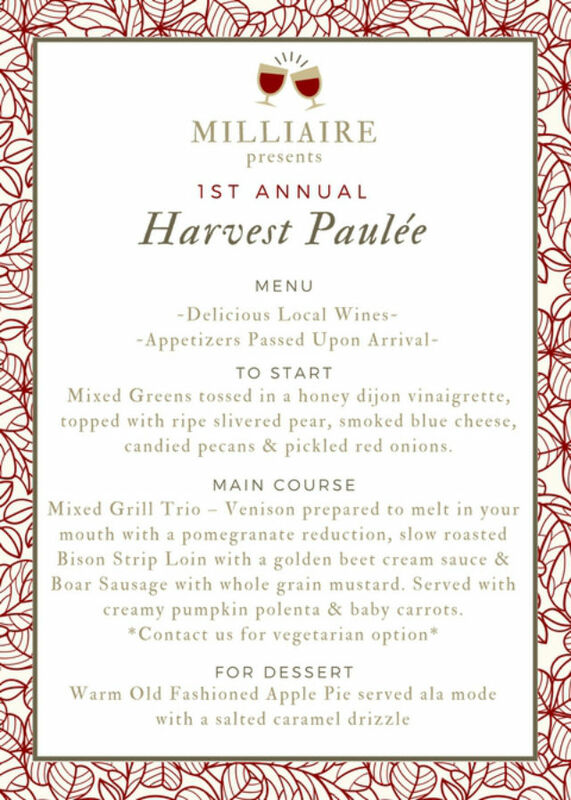 Following their dreams of making premium wines from the Sierra Foothills, today Milliaire Winery has expanded and occupies over an 8,000 square foot winery with a dedicated barrel room and modern crush pad facility. The Milliaire Winery tasting room still resides in the old "Roadside Chateau" at 276 Main Street. Event occurs on 10/19/2016 from 12:00 AM to .